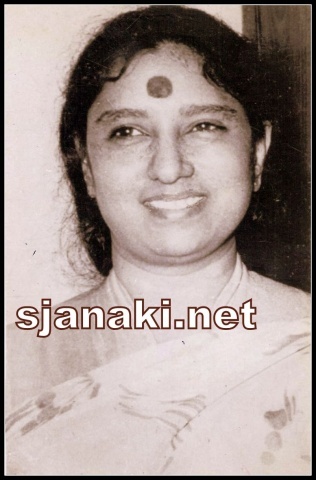 S Janaki rendered wonderful melodies with P B Srinivas in various languages. She sang his lyrics in various movies ,especially his Hindi songs in Telugu and Tamil Movies. She composed music to his lyrics for some private albums. He sang her lyrics for some private albums. They gave several music concerts as a troupe.If he sang Mhd.Rafi’s songs, she chose Lataji’s songs in their early days of music concerts. They worked together, sang together, excelled together and became legends forever!! Their Musical collaboration is simply awesome !! Although they sang in several languages their top hits were always in Kannada. 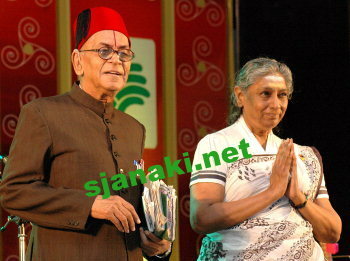 P B Srinivas being the voice of Karanataka in 60′s and early 70′s and S Janaki being his constant companion in duets – their combination was hot favorite of those days. All Music Directors gave some excellent compositions to them which are radio favorites til date even after decades. Base voice of P B Srinivas when comes together with High pitch rendition of S Janaki leaves a magical spell on listeners !! Enjoy those classics .. Nostalgia Kannada PBS SJ Vol1 Click Here.. Nostalgia Kannada PBS SJ Vol2 Click Here..